From amusement parks to zoo, any parent knows that during family vacations you are going to be deluged with stuffed animals for sale at attraction gift stores. I can’t recall traveling with my kids and not having some sort of new stuffed animal coming home with us. Unfortunately, these stuffed animals become like the troublesome tribbles from Star Trek multiplying until your house is completely cluttered with them. So how do you get rid of this assortment of plush creatures that kids develop an emotional attachment to? Guilt them into giving these toys away! Let your children pick out a few favorites to keep. Have them put the rest up for adoption to new children. Explaining how others may not be as fortunate and how these stuffed animals can brighten up another child’s life can make this a heartwarming experience. 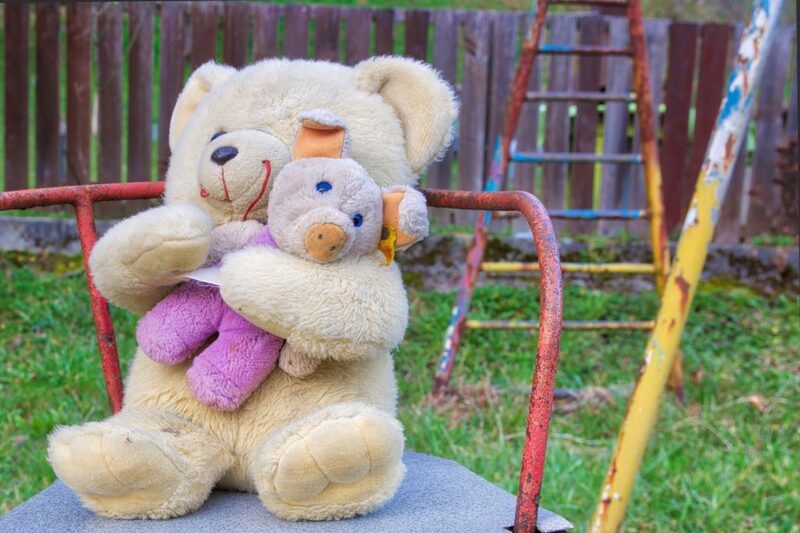 Don’t just tell kids that their cherished stuffed animals are being donated to charity. Rather provide details of exactly how their donated toys will be used. Such as by a police officer amusing a little girl after an auto accident; a social worker easing the tension of a young boy who has fled to a domestic violence shelter with his mother; or a thrift store selling items to fund a program that helps people recover from drug addiction. Did you know that more than a million women a year across the United States seek refuge from violent relationships at domestic violence shelters? Often times they bring children along with them and come with nothing but the clothes on their backs or maybe a quickly packed suitcase. 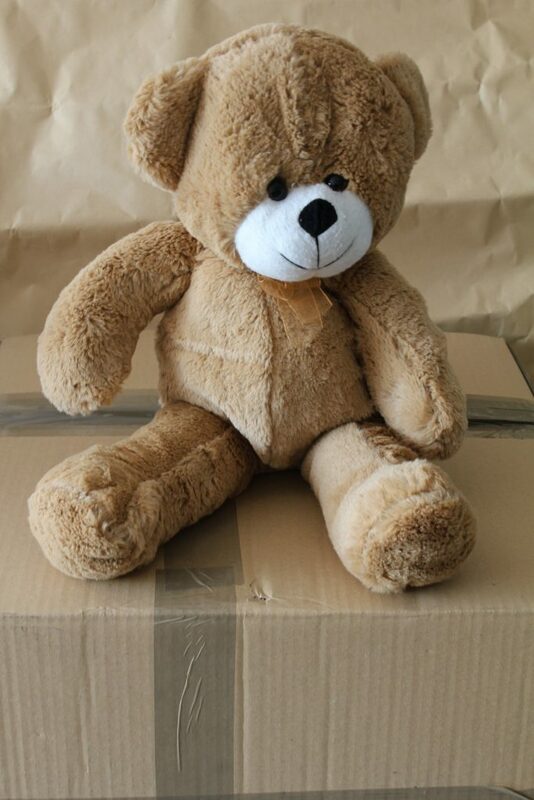 Many shelters relish donations of nice, clean stuffed animals to provide children. Go to domesticshelters.org for someplace near you that would appreciate your donations. When the term juvenile or youth home comes up many people think of a place where bad kids are taken for getting into trouble. Many of these also house children who haven’t done anything wrong. They are kids who need a safe place to stay because of abuse, neglect, or the death of parents until foster care arrangements can be made. This is stressful for these kids. Being given a stuffed animal can make this time much less tense. Contact your county government to inquire about making donations to a juvenile home serving your community. Whether it is police officers arriving at an auto accident or fire fighters helping out with a disaster, stuffed animals are a tool for calming children during dangerous and difficult situations. If local responders aren’t interested in receiving stuffed animal donations directly, there are a number of non-profit groups that will accept them. They distribute the toys as needed to locations around the country. S.A.F.E. (Stuffed Animals for Emergencies) collects stuffed animals. They are cleaned and provided to police officers, fire fighters, and social workers for children in traumatic situations. We Care Bears Project encouragess kids to have donation drives collecting unwanted teddy bears. Donations are provided to emergency first responders to give children facing unbearable situations. BackPack Beginnings accepts donations for comfort backpacks provided to abused, neglected, homeless, and refugee children. While holiday toy drives like Toys for Tots require new, unopened items when it comes to donations, many charity-run thrift shops will gladly take your family’s used stuffed animals off your hands. This helps parents that normally can’t afford new toys to purchase some nice things for their kids. Also, theses sale support programs that help people in need. For example, The Salvation Army of Southeastern Michigan accepts stuffed animal donations at its 37 thrift stores. Proceeds fund their adult rehabilitation center, a six-month residential treatment program that addresses alcohol and drug addiction. Goodwill thrift stores proceeds fund job training programs and employment placement services. The Society of St. Vincent de Paul uses its thrift store proceeds to provide tangible assistance to those in need on a person-to-person basis. If none of these suggestions work out, you can reach out donationtown.org. 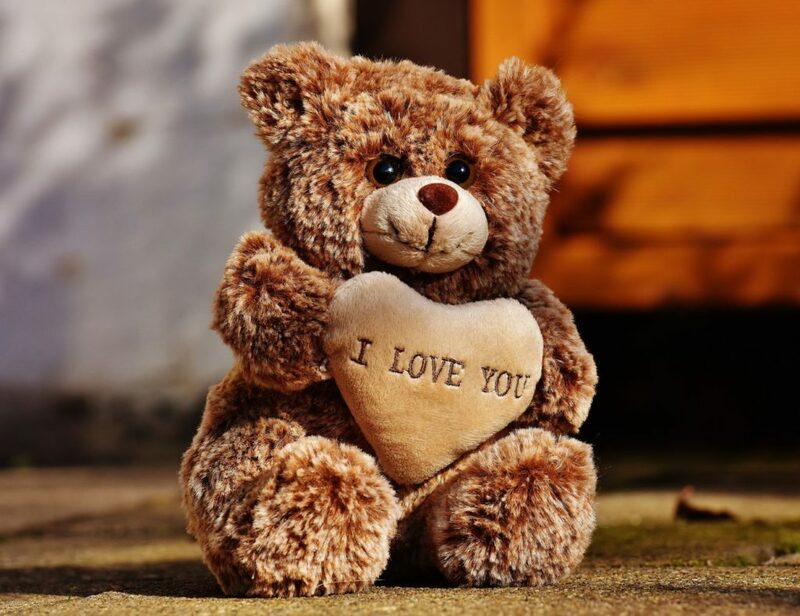 This website will help you find a charity in your area that will accept your stuffed animal donations and help you schedule a fast, FREE pick-up of your items. Just remember that these charities can’t do anything with broken or beaten up toys so if your stuffed animals aren’t in near new to gently used condition, they probably aren’t right for donating. Having children put their stuffed animals up for adoption really is a worthwhile endeavor. It make a positive contribution to others. Plus help parents make great progress in decluttering kids’ bedrooms. Be prepared though that you may just be making space for the next wave of stuffed animals to be brought home from future family trips. Stuffed animals bring so much joy to children it really makes sense to pass them on to others rather than simply throwing them away. It can be difficult for children—and adults—to let go of stuffed animals. Make sure your donation is going somewhere it is appreciated to take away some of the sting. Rather than having stuffed animals piling up in your home put them up for adoption to help needy kids.